If you need a new toilet and want something that is efficient, cost effective, and easy to install, the SANIFLO SANIACCESS 2 is a good option to go with. 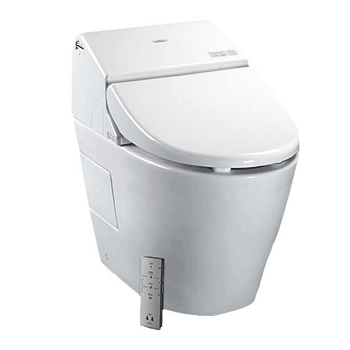 The SANIFLO SANIACCESS 2 contains an up-flush macerator system, but it does need to be connected to the Saniflo rear discharge toilet, which comes included here. It’s neat because you can also connect the discharge pipes from your shower and a nearby sink. 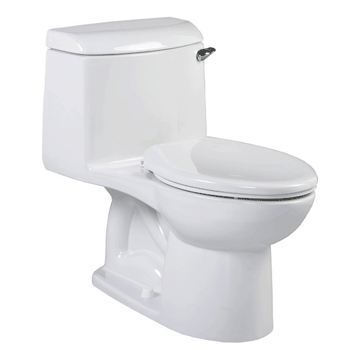 Well, the toilet itself, as well as the macerator chamber, are both made out of high-quality porcelain. You really cannot beat porcelain when it comes to this kind of thing. The interior of the macerator chamber features a metal blade to macerate waste, as well as various other plastic and metal components which comprise the pressure, pumping, and macerating systems. The toilet itself comes with a plastic seat and lid, and there are chrome hinges too. The SANIFLO SANIACCESS 2 and included toilet definitely feature a high-quality flushing system that works wonders to get rid of all kinds of waste. To be technical, the SANIFLO SANIACCESS 2 features a macerating up-flush system. In other words, the included toilet must be connected to a water source. 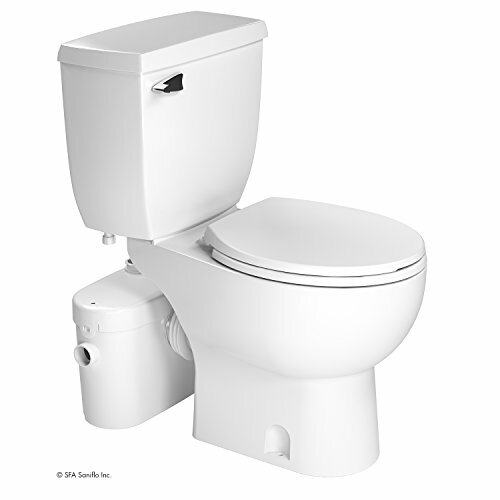 When the toilet is flushed, the water passes from the tank through the toilet bowl. Once it leaves the toilet bowl, it then enters the SANIFLO SANIACCESS 2 macerator chamber. Within this chamber, when the water enters it, a system is activated which turns on the macerator blades. These blades break down all waste into small particles. There is then an impeller which creates pressure and pumps all waste and water out of the SANIFLO SANIACCESS 2. Furthermore, the SANIFLO SANIACCESS 2 is capable of pumping waste vertically up to 15 feet so it can easily connect to your waste water pipes. It’s a good option to go with as it does not use much water and it is quite effective at getting rid of solid waste. Ok, in terms of cleaning and maintenance, the SANIFLO SANIACCESS 2 is alright, but not great. The toilet which it needs to be connected to is pretty standard, so all that is needed for that is general toilet cleaning tools and practices. However, for the macerator system, while it does not need to be cleaned often, you might have to open it up every now and then for some general maintenance. The blades and the rest of the system which break down the waste will need maintenance every couple of years. Things can get a little dirty in there. Something that is definitely quite handy about the SANIFLO SANIACCESS 2 is that it does not use too much water. All you need to operate this toilet and the pump is a little over 1 gallon of water. 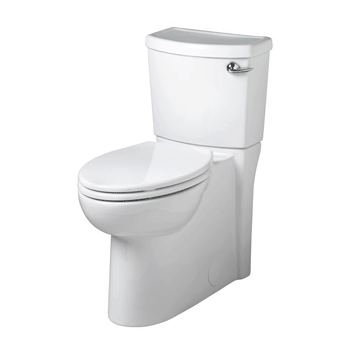 It’s definitely a water saving and eco-friendly toilet to go with, one that will help save money on your water bills. Low consumption toilets like this are a big thing now, and they help to save both money and water for a better world. The SANIFLO SANIACCESS 2 is pretty easy to install, which is of course quite the bonus. Yes, there are a few connections you will have to make, but the inlets and outlets are already there, plus you also get most of the piping with it. All you need to do here is to connect the water intake to your water supply, connect the output tubing of the macerator chamber to the drainage, and you are good to go. What is also pretty cool here is that you can attach the drain pipes from your sink and from a standing shower too, all of which then flow through the macerator pressure chamber. Yeah, you could probably install it yourself, but getting the help of a plumber is probably not a bad idea. When it comes down to it, we give the SANIFLO SANIACCESS 2 and the included toilet a rating of 4.5 out of 5. It’s a good option to go with if you want something that is water efficient and cost effective at the same time. It’s a toilet and macerator system that is best installed by professionals, but you could potentially install it yourself as well. We do like it because it helps break down all kinds of solid waste, and therefore does not require much in terms of drainage. Being able to connect your sink and shower is a pretty big bonus too. All in all, we would definitely recommend the SANIFLO SANIACCESS 2.